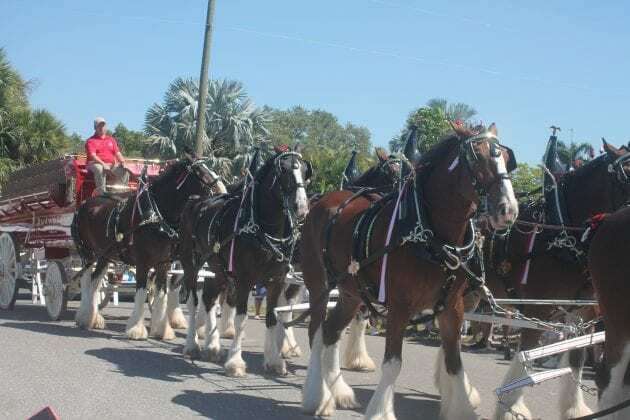 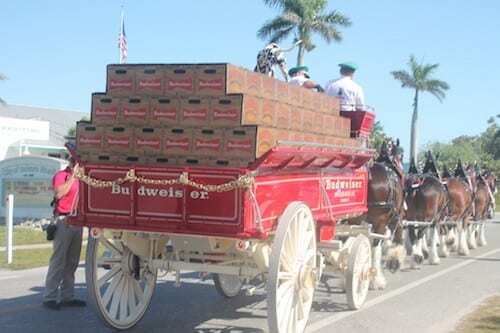 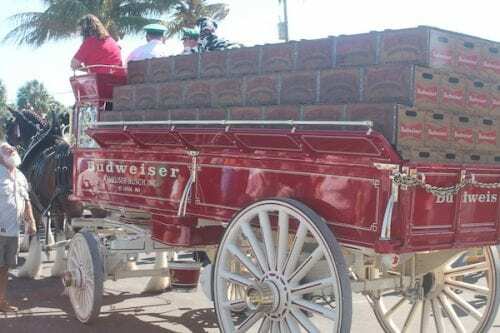 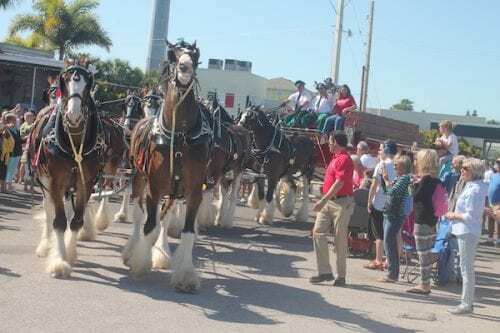 Budweiser Brewery’s signature advertising logo – a bright red wagon with brass accessories pulled by a team of husky Clydesdale horses – visited Anna Maria Island this afternoon at the invitation of local legend, Duffy’s Tavern. 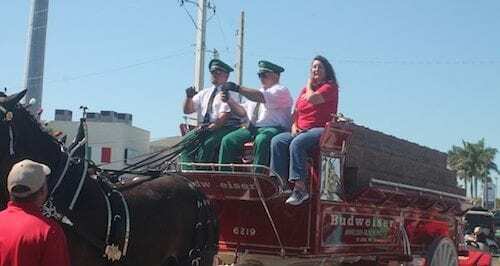 Co-owner Peggy Davenport, daughter of Duffy’s founder Pat Geyer, rode on the wagon as it moved slowly through the high season traffic between Holmes Beach City Hall Park and Duffy’s. 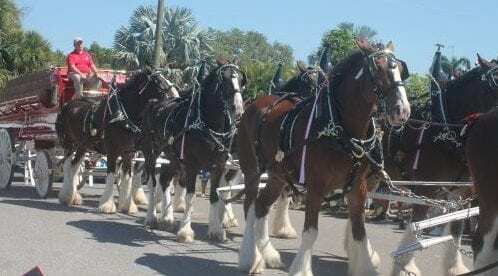 Davenport said she had been trying to get the team of horses out to Duffy’s for years.